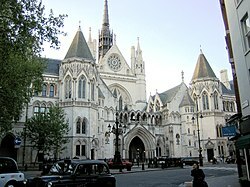 ^ Jurisdiction Of Courts In England And Wales And Their Recognition Of Foreign Insolvency Proceedings. Insolvency.gov.uk. Retrieved on 2013-02-03. ^ The Common Law in the British Empire. H-net.msu.edu (2000-10-19). Retrieved on 2013-02-03. ^ R v. Rimmington (2005) UKHL 63 at para 30. Bailii.org. Retrieved on 2013-02-03.